Suggestion: Make this a fun activity for all participants. If you have some old ties that have been hanging in the closet for years, grab one for each person and follow along as you read the book. Plus, discuss it your friends in person and online at great reading sites like Goodreads, JacketFlap, Shelfari, Librarything, Freado and many others. You'll be amazed at all of the reading groups, looking for your input about different types of books. Your voice will make a world of difference. If you don’t already have it, buy the full color family activity book! You will love the disneyesque yet modern artwork. 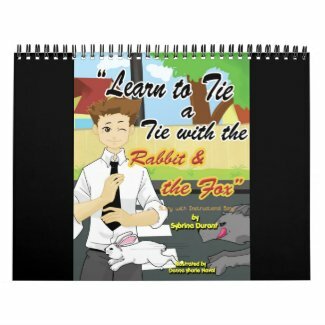 Get one for your child while they’re young and by the time they’re old enough to wear a tie, they will remember what they learned in their childhood. Give this book to your favorite child! It is also great for boys in attendance at Weddings, Quinceañeras, Bar Mitvahs, Proms and other important life events. Be sure to personalize each book with a message of appreciation from the presenter to the recipient on the inside cover. It will surely become a forever keepsake.